Let me just say right now, that throughout my life I have never consistently taken supplements (I've dabbled here and there with this and that) and have always subscribed to the belief that we can get the nutrition we need from the food we eat. However, the arguments are vast and mounting. Living in an environment that has negative implications for our health supplements become an incredibly appealing option. We’re already comfortable with taking pills and we don’t have the energy or interest in making the bigger changes that would impact our health. Individually these changes would include reducing stress, improving relationships, eating whole foods, drinking more water and moving our bodies. As a nation we need to prioritize health over power and money, think preventatively instead of as reactionaries and improve our food and agriculture systems so we actually stand a chance to succeed at any of those things. We’re a hot mess! But we already knew that. Instead of recommending that everyone changes their lives and eats more fruits and vegetables, we have the option to just take supplements instead. It might help to understand that multivitamins are isolated nutrients that scientists have deemed important components of whole foods. Usually, a multivitamin will have 30-40 nutrients. In contrast, consider the humble apple. Wrapped in its skin, it has an immeasurable number, many of which we don’t yet understand. Researchers are just beginning to grasp the potential health implications of phytonutrients and antioxidants. In one apple, there has been 10,000 phytonutrients discovered and it is predicted that there are thousands yet to be found. These antioxidants and phytonutrients have been implicated to prevent chronic diseases like diabetes, cancer and heart disease. Not to mention their contribution to simply maintaining good health. We really underestimate the complexity and power of our food. At various times we’ve been encouraged to take isolated micronutrients for health benefits only to find out that the nutrient popular at the time was also not fully understood. Take the provitamin A, beta-carotene for example. About 10 years ago, beta-carotene supplements were encouraged to combat cancer. A few years later researchers discovered that carrots, a food high in vitamin A, have more forms of carotene than scientists have been able to name, much less measure. Additionally, carrots have enzymes and minerals and other phytonutrients that we don’t yet understand on their own. This is why whole foods are also perfect foods: not only do they contain nutrients that are vital to our health, but they also have the metabolites our bodies need to break them down and assimilate. Amazing! Needless to say, beta-carotene supplements aren’t as popular these days. Nutritionism, examining compounds of food instead of looking at the whole food, has often led us astray yet there still are some reasons for supplementing diet with concentrated and isolated nutrients. For example, here in Minnesota we have no UV-B rays in our atmosphere for about half of every year. These rays are on the spectrum we need to produce vitamin D, which most of us are deficient in. Land-locked people are also commonly deficient in Omega-3 fatty acids, a natural anti-inflammatory most readily available in fatty fish. This essential fatty acid is also available in nuts and seeds, and to an extent in pasture-raised meat, dairy and eggs. But even these arguments raise questions. Were people before supplements wildly lacking in nutrition? Is there some source of these nutrients that we are simply unaware of? 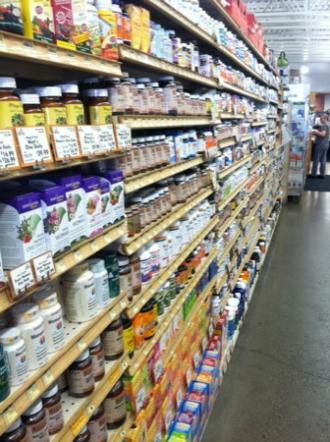 There is a lot to be said about supplements. I mean, this is a multi-million dollar industry, so there’s got to be something in there worth examining, right?! But, I’m an optimistic eater and trust that what I eat is enough to nourish me at least 99% of the time. When I look closely and find pieces that are lacking, I supplement. And what I supplement may change from month to month. In general, I say eat a lot of fruits and vegetables, be an informed consumer and ask for guidance from a health care professional if you’re taking medications. For years now, I have continued, stubbornly and optimistically, to eat a whole foods diet rich in fruits and vegetables and trust that I'm getting enough of what I need. Despite my stubborn resolve, my composure has gotten unsteady at best. The further I look and the more I learn, the more frequently I hear nutrition and health experts recommend multivitamins and various supplements in addition to a whole, organic, balanced diet. These are smart people, so I'm paying attention to whether or not multivitamins and other supplements are necessary to maintain optimal health and prevent chronic illness. Last week I sat in on a lecture by Dr. Mark Hyman (This is a really smart guy who is a family doctor practicing functional medicine while focusing very heavily on diet), who said that eating an ethical, organic, whole foods diet rich in fruits and vegetables is just not enough. We are slammed every single day with contaminated water, polluted air, emotional, mental and physical stressors all which deplete our stores of vitamins, minerals and enzymes and leave us in negative nutritional balance. Add to that a depleted agricultural system and we've got ourselves a big problem. For this reason, he recommends that everyone supplements their diet with a good multivitamin and a few other isolated supplements, such as omega-3 fatty acids. I think, "well, that makes sense" and I keep searching.. I listened in on a lecture by another MD, Dr. Neal Barnard, who also suggested that everyone take multivitamins for similar reasons. Julia Ross, author of the Mood Cure, writes about deficiency of simple nutrients, like vitamin C contributing to mood disorders and mental illness and recommends supplements. The well-known, Dr. Andrew Weil recommends daily multis for general maintenance of your body. Even Oprah's beloved Dr. Oz suggests taking them! 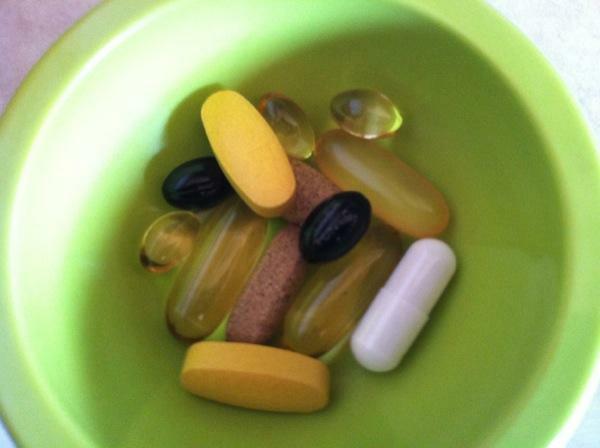 So, if all these super smart, super educated folks are saying we need multivitamins, who am I to say otherwise? I am an optimistic eater! At this point, I feel that there is only one option open to me: an experiment. Why not? If everyone is truly different and everyone has their own needs, how best to start the road to discovery but from within. Starting today, I am taking multivitamins (concentrated from organic whole foods) daily and keeping notes on how I feel physically, mentally and emotionally through the end of the bottle. If you're curious about whether or not you should add multivitamins to your daily maintenance routine, I encourage you to do the same. There is virtually no risk involved and requires only a small investment. Do I have more body pain or less? Do my eyes look sparklier? Are my hair and nails growing faster or stronger? What has changed about my cravings? I trust my farmers. I trust my food. I also trust good reason. Living on this planet is complicated and it's stressful. If taking a high quality supplement or two every day improves my ability to cope with the air/water/food/noise/light pollution and the guy driving a loud obnoxious truck who yells at me for riding my bike on the street, then count me in! Because all those things impact our bodies, our health and our ability to age gracefully and leave this complicated planet with ease and peace. Can it be ok to take a pill for your health? Maybe yes, maybe no. The trial is on! 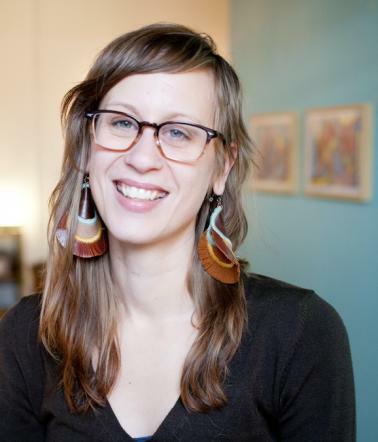 Jesse Haas is Co-Founder of Chakra Khan, where she is a Massage Therapist and Health Coach. Her approach to working with clients integrates whole body health and conscious eating. To learn more about her practice or to schedule a free consultation, visit www.jessehaas.com or email her at jesse@jessehaas.com. Her last article for SGT was: Time for spring cleansing.